Home / Archive / What are the "streamed channels" from Channel 225 on my Freeview channel list? What are the "streamed channels" from Channel 225 on my Freeview channel list? The channel listing used for digital TV through your aerial now contains more than just Freeview and Freeview HD channels. 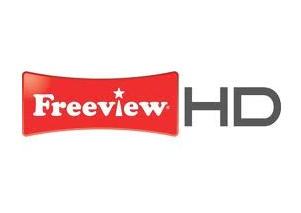 For viewers with the latest connected TV models with "Freeview HD" certification (carrying the logo shown here), extra channels can be streamed from the internet from channel 225 upward. That's because the Freeview HD certification on current TVs, PVRs and set top boxes not only indicates compatibility with terrestrial HD services in the UK, but also compliance with the MHEG-IC standard used for streamed channels, which are provided in standard definition. You'll need a broadband connection of a least 2 - 2.5 Mbps to make the channels work. An unlimited broadband package is recommended to make the most of the services. YouView boxes use a workaround to access some of the streamed channels, such as Motors TV and Vintage TV. Details about compatible devices can be found here. Two companies operate streamed channels on Freeview. Some services require a subscription, some are free. Connect TV from Arqiva provides access to a number of extra free and pay channels via broadband internet to viewers with the latest Freeview HD devices, including CCTV, Motors TV and Racing UK. Synapse TV from S&T provides the infrastructure for pay TV portal VuTV (channel 238) and free-to-view services from TVPlayer (241) and Vision TV (244). Streamed channels are found between channels 225 and 299 on Freeview. Additionally, broadcasters including The Box, QVC and RT offer extra streamed channels direct via the red button on channels 18, 35 and 135 for viewers with compatible devices. The channels are accessed via portals, which sit behind the different channel numbers from 225 upward. The application associated with these portals - that connects your TV with the various service providers - is broadcast as a small data package on the digital TV multiplexes that the Freeview service is carried on. Freeview HD equipment (2013 models onward) from the main brands (e.g. Sony, Panasonic and Samsung) are more likely to support the channels, which are accessed using a technology called MHEG-IC. But different manufacturers started adding support for these channels at different times, so some models may offer access to some, but not all services. The organisations behind Freeview are working on developing a single standard for connected services. The MHEG-IC specification doesn't support recordings, so streamed channels can only be watched live. Which devices work with streamed channels?